Looking for Plumbers Arden NC Today? We’re glad you found us! Please see our home page for more detailed info. Goodman Plumbing is one of the top-rated local plumbers in the area. We’re just down the road, and we have years of experience and training to solve your plumbing troubles. A professional plumber is key when it comes to making sure that your plumbing systems and installations are working properly, and with Goodman Plumbing you can know that you have hired a ‘good man for the job’. Whatever your plumbing needs are, we will listen to your concerns and will schedule an appointment that works for you. We treat you like we would want to be treated ourselves. We don’t rely on commissions, so the overall feeling you get from us may be quite different than you have had with other companies. With us there is no pressure, no commissions, just honest plumbing. If you want to build something new or remodel your old plumbing, we want to help. Our goal is for all our customers to be 100% satisfied. We are different in the way we deal with you. We will take the time to talk with you through your problems and ideas and will help you find a solution to all your plumbing issues. When you are looking for an Arden NC plumber, call us today to experience the Goodman Plumbing difference! We aim to be one of the best plumbers Arden NC has to offer, and we specialize in all kinds of waterheaters: Standard water heaters, tankless water heaters, heat pump water heaters, solar water heaters, you name it! Right now we are offering a $100 SAVINGS off any new Arden NC water heater installation! Just mention our ARDEN HOT WATER HEATER SPECIAL and you've got a deal! 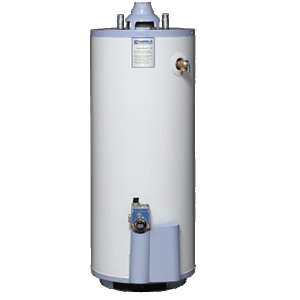 If you don't need a new water heater, but just water heater repairs, we've got you covered there too. Give us a call today! We install, repair, and maintain Arden NC Water Purifiers, Softeners, Iron Filters, pH Neutralizers, Sediment Filters, Chemical Filters, UV Purifiers, Reverse Osmosis, and Chemical Water Treatment systems—everything you need for pure water! Give us a call to discuss the many water purifier options which are available to you. 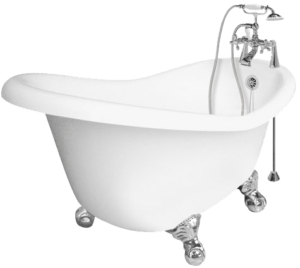 We install and repair Arden NC Plumbing Fixtures of all kinds: toilets, showers, bathtubs, bidets, sinks, faucets, lavatories, drinking fountains, urinals, insta-hots, recirc pumps… everything but the kitchen sink! No wait, we install and repair kitchen sinks too! If you can dream it, we can install it! We have great ideas for your bath, kitchen, outdoor kitchen or backyard fireplace. Give us a call and let's see what we can come up with. We are your Arden NC water efficient plumbing specialist! 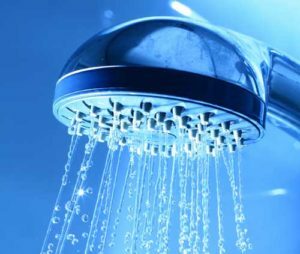 We specialize in water-efficient toilets, water-efficient showerheads, water-efficient faucets and accessories, grey water systems, and rain catchment systems. We have extensive training in water and energy conserving plumbing systems. We are accredited with GreenPlumbers and are committed as individuals to saving resources. Call us today for all your Arden NC Water Saving Plumbing needs! Our Arden NC plumbing customers value quality plumbing products and reliable service. We know how to provide that—we are the kind of plumbers Arden NC needs. We can take care of all your plumbing repairs, installations, and fixtures, from leaks, faucet repairs, toilet replacements, or new water heaters. The goal at Goodman Plumbing is to be the best plumber Arden NC has. We are known for our customer service and top quality workmanship. Of all the plumbers Arden NC could call, you can choose Goodman Plumbing for quality, service, and integrity. If you need an honest plumber in 28704, call us! If your home needs plumbing repair services, call us today. At Goodman Plumbing, our staff is trained and experienced to deal with any plumbing repair whether it is a water heater repair or kitchen remodel, and anything in between. Make mine splinter-free, of course! where we always post funny and entertaining plumbing facts! We’d like to be your Arden NC Plumber! Asheville | Weaverville | Hendersonville | Woodfin | Mills River | Alexander | West Asheville | Montford | Biltmore Forest | Fairview | Fletcher | Candler/Enka | Leicester | Arden | Black Mountain | Swannanoa | Horse Shoe/Etowah | Barnardsville …Call Us When You Need a Good Man for the Job! © 2017 Goodman Plumbing | Specializing in Water Heaters, Water Filtration & Green Plumbing. When You Need a Good Man for the Job...Call Us Today!